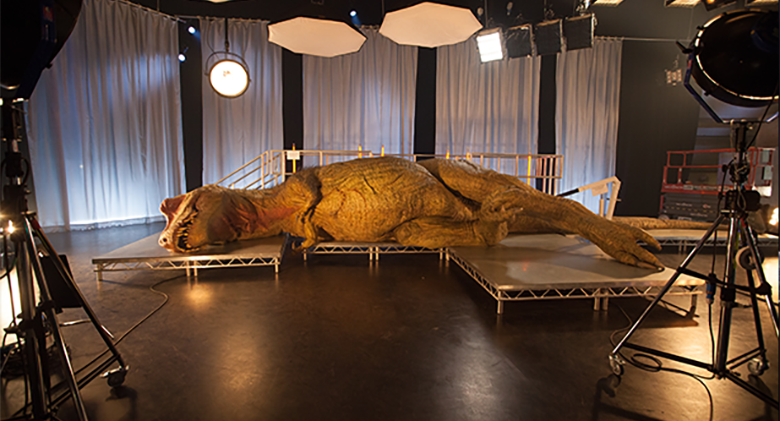 T.rex Autopsy sees the world’s first life-sized anatomically precise model of a T.rex go under the knife in an incredible visualisation of the anatomy and biology of the most infamous predator to have ever lived. 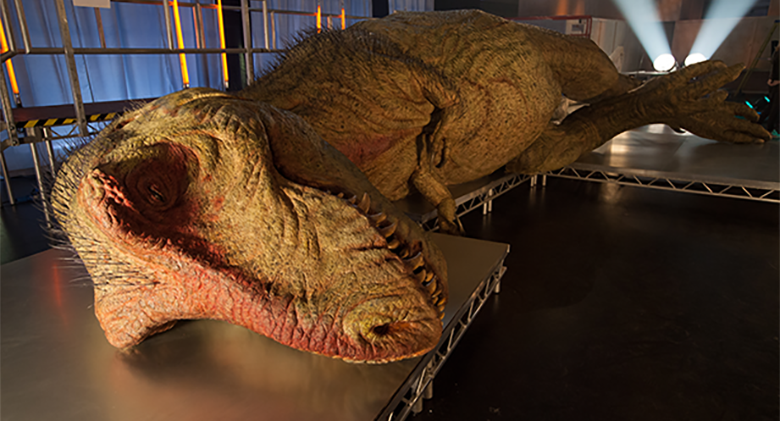 The model’s dimensions are based on bone scans of ‘Sue’, the largest and most complete T.rex fossil ever found. 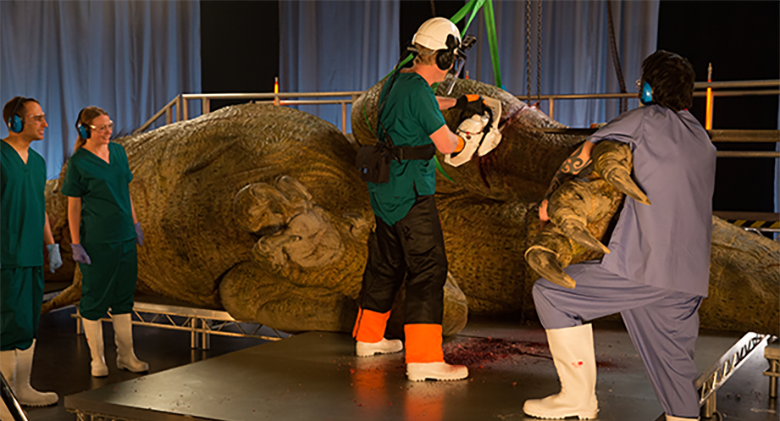 It measures 43 feet / 13 meters from nose to tail and 13 feet / 4 meters from toe to hip. 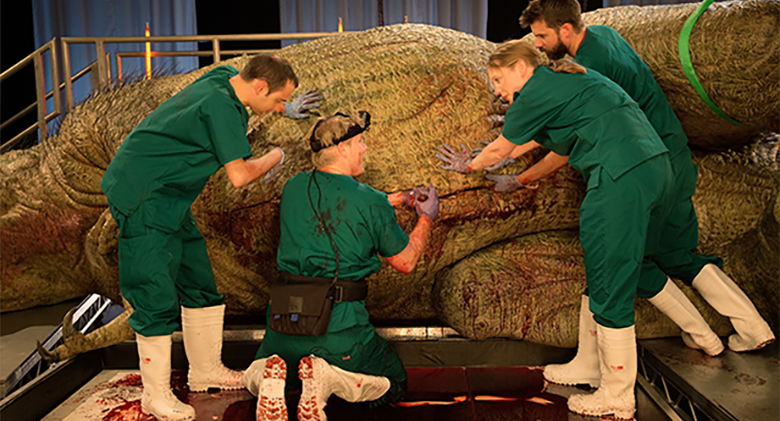 The life-like organs were created using the latest scientific knowledge and research and in collaboration with a team of palaeontologists and comparative anatomists. 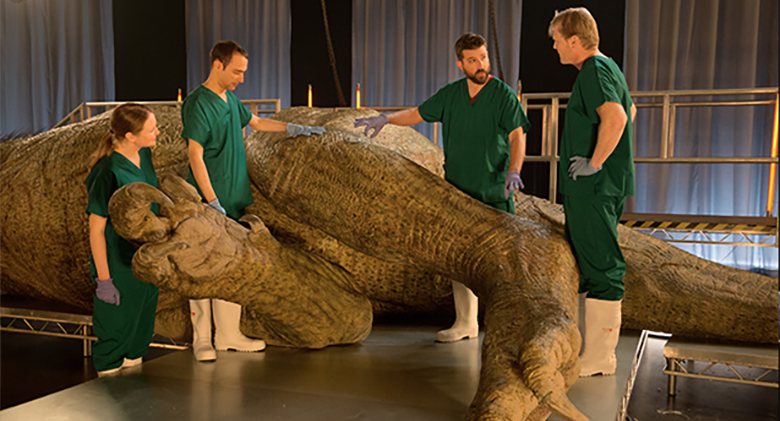 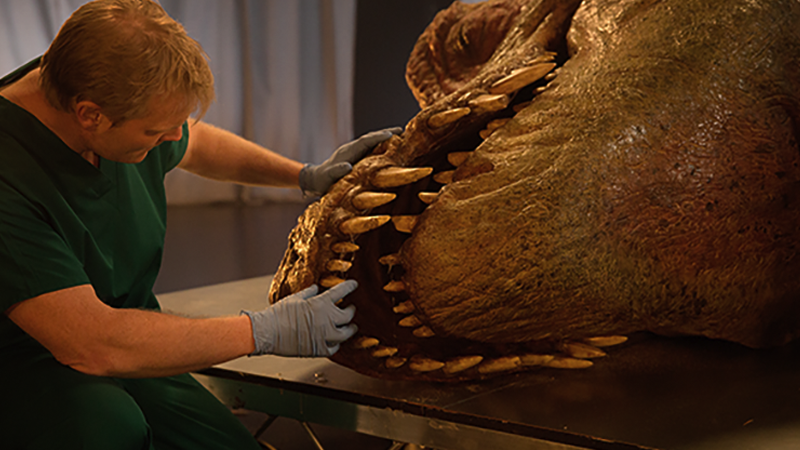 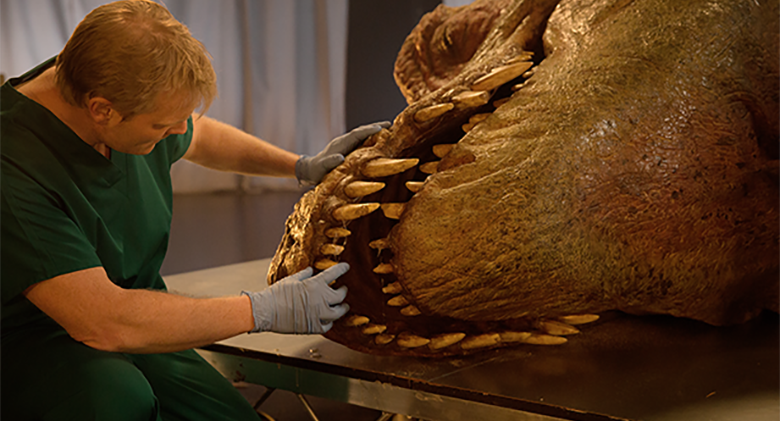 As the teams get stuck in and investigate how the specimen may have died, they explore it’s biology and anatomy, and discuss how the world’s most infamous mega-predator may have lived.